Derry boss Brian McIver is set to put an end to Eoin Bradley's flourishing soccer career after saying the Oak Leaf star could not combine the two sports. Bradley has impressed for Irish League side Coleraine this season, scoring five goals in his last eight games. McIlver believes Bradley would like to play soccer on Saturdays and gaelic football on Sundays. However, he has ruled this out as a possibility and the inter-county campaign starts in January. 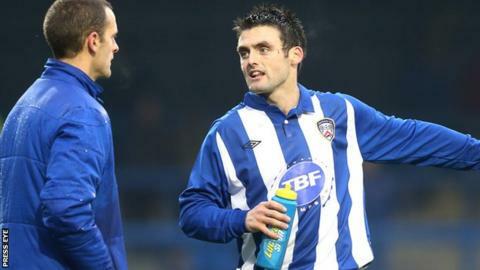 Bradley joined Coleraine in the summer and has emerged as a key player for Oran Kearney's team. He is also a talisman for the Oak Leafers as the spearhead of their attack, but Coleraine will be hugely disappointed if Bradley has to leave the Showgrounds in the New Year.